HBO doesn’t really need George R.R. Martin anymore, do they? Like, Game Of Thrones is wrapping up early next year and Martin himself has admitted that he’s not all that involved in its spin-offs. What the author has created is now its own self-sustaining engine, one that will continue to chug along whether he finishes A Song Of Ice And Fire or not. 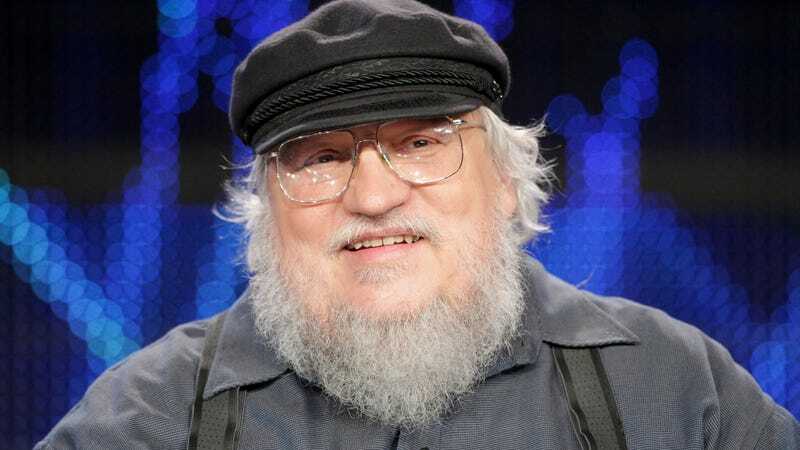 As such, he should have the time to finish its next volume, The Winds Of Winter. Instead, he’s back on his blog, getting the back of his hand smacked for sharing things he’s not supposed to about Jane Goldman’s upcoming prequel series. In a post last week (via Esquire), Martin definitively called it The Long Night, a title he’d hinted at in the past. This week, he returned to his blog, hat in hand, to apologize for spoiling the title. As Martin spirals into despair in between episodes of The Big Bang Theory, we’ll continue to watch for The Long Ni—sorry, Untitled updates. So far, Naomi Watts and Josh Whitehouse have joined the cast, with production slated to begin around the same time Game Of Thrones takes its bloody bow.